All photos courtesy of COMO Hotels and Resorts. COMO The Halkin is a quiet refuge perched in the leafy neighborhood of Belgravia, at the corner of serenity and discretion. 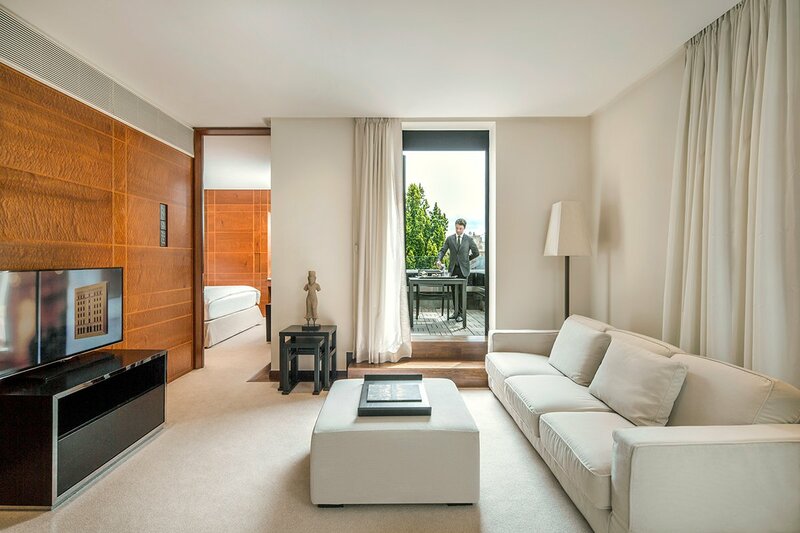 The classic city escape has a modern spirit, merging sleek contemporary design and personal service to create a distinctly grownup and residential feeling. 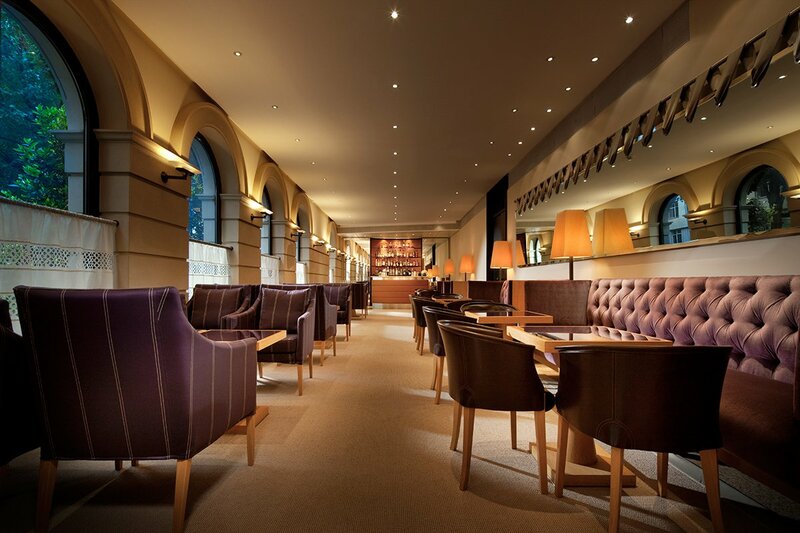 With an offshoot of Elena Arzak’s famous San Sebastian restaurant on the first floor, you may be tempted to hole up in the hotel for the duration of your stay, but then you will remember that Sloane Street’s shopping, Piccadilly’s theaters, and Mayfair’s restaurants are only a few minutes away. Vibe: Think of it as your home away from home — the elevated and supremely more luxurious version. Standout Detail: Discretion. 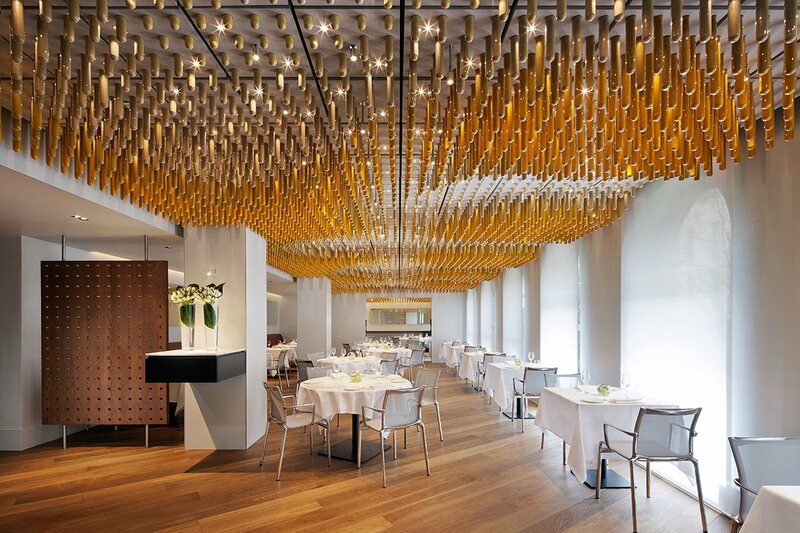 As well as the Michelin-starred restaurant Ametsa with Arzak Instruction. This Place Is Perfect For: Billionaires who don’t want to be found, the solo traveler seeking a quiet place to lay his/her head, and couples in search of a hideaway where they can decompress and reconnect. Rooms: The 41 airy guest rooms and suites are minimal and extremely sophisticated, in a color palette of cool taupes and warm creams. 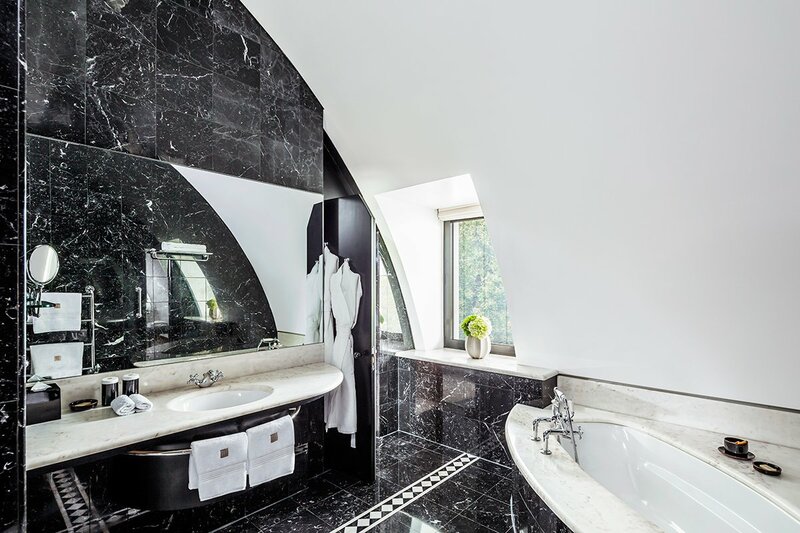 Floor-to-ceiling marble bathrooms, wood panels, and crisp Egyptian cotton linens add a luxurious feel to spacious rooms outfitted with complimentary WiFi, touch-screen consoles that control lighting and room temperature, and toiletries from the in-house Shambala range. On Site: Twenty four-hour concierge and room service, a small gym, valet parking, laundry facilities, and access to Belgrave Square Garden. The spa at COMO Metropolitan London is available to guests and a quick ten-minute walk from the hotel. Food and Drink: Open for both lunch and dinner, the hotel restaurant, Ametsa with Arzak Instruction, serves New Basque cuisine and is headed by Elena Arzak from renowned three-Michelin-starred restaurant Arzak in San Sebastian. 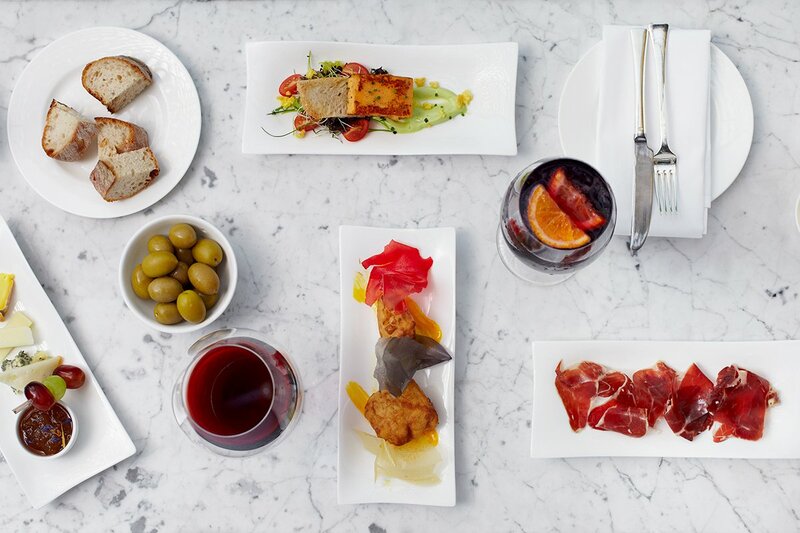 Ideal for afternoon meetings and evening martinis, The Halkin Bar is a unpretentious hideaway with a Spanish-inspired afternoon tea. Tapas at Ametsa with Arzak Instruction. 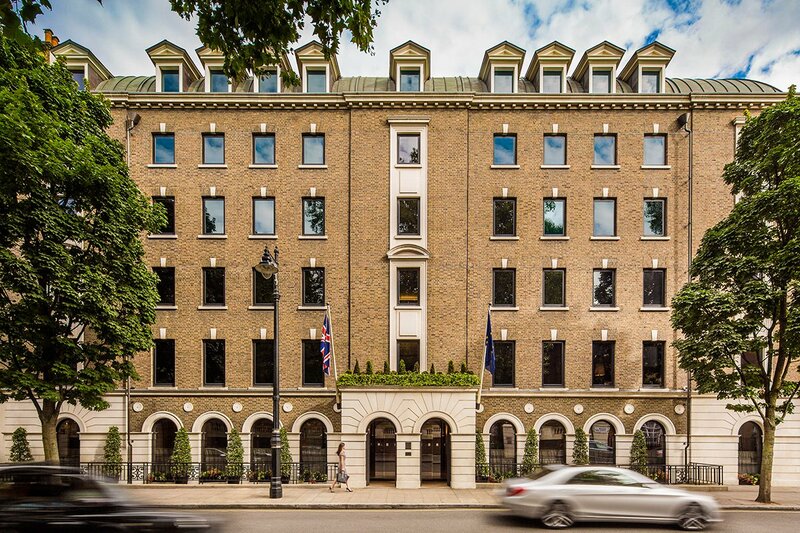 Just steps from the green spaces of Hyde Park and Buckingham Palace Gardens, the genteel neighborhood’s leafy streets are lined with elegant townhouses, secluded gardens, and foreign embassies. Understated luxury and refinement are the name of the game in this part of London, so you’ll want to find time to enjoy yourself and indulge. Start with a detox cleanse and facial at the girls-only Grace Belgravia, followed by drinks in the upstairs bar at Belgraves Hotel. Then head to Rachel Vosper for a selection of exquisite handmade candles before making a stop at Harvey Nichols, the best department store around. For those looking to add culture to their London Itinerary, the Victoria and Albert Museum, Natural History Museum, London, and Science Museum for kids are all a five-minute taxi ride away. 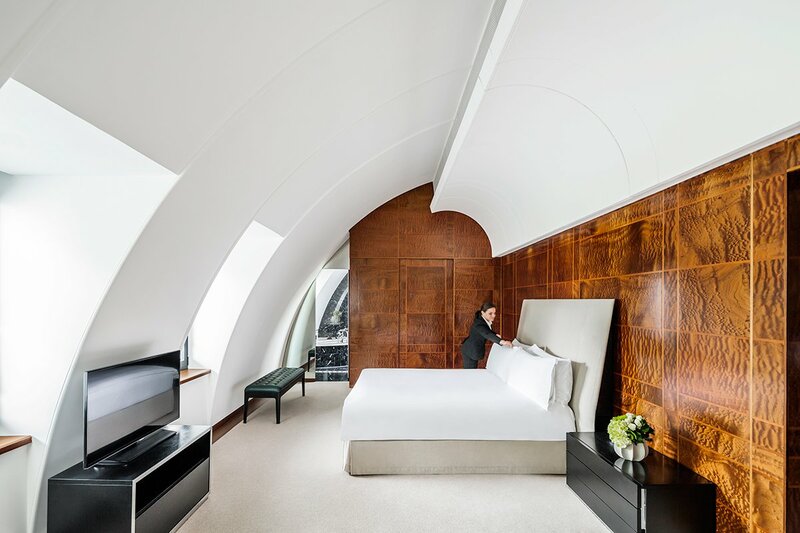 Strike London hotel gold at charming, posh (and shockingly affordable) Flemings Mayfair, live a Deco fantasy at The Beaumont, or head to The Dorchester for the exclusive spa your sore muscles crave.